MeerschaumStore.com is a sculpture company. In 1963 Mr Uzkesici's father has established a meerschaum company which has been pioneer of meerschaum industry. This company has been serving for almost 50 years. Meerschaumstore.com is the continuation of a this business in Internet enviroment. Meerschaumstore.com has launched in 1999. As we are producer and manufacturer, we serve this museum quality products in very reasonable prices to our all valuable customers. Meerschaum Store serves human being since 1963. MeerschaumStore.com is the certificated safer shopping site. Our customers can find best quality handmade meerschaum pipes and meerschaum items, in very reasonable prices. We offer Life-time guarantee for meerschaum part of the product. Online security Order with credit cards . We accept Visa, Master card, Discover, Diners, American Express credit cards and e-check. 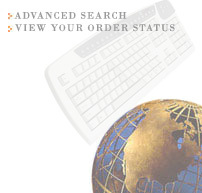 MeerschaumStore.com accepts credit cards belongs to all over the world residents . latest Secure Socket Layer (128 bit SSL) technology , which encrypts all your credit card and personal information. It is unreadable as it travels across the Internet. Our products are as quality as museum's products! But non of our products are antique. They are perfect , beautiful and without defect. All products are made in Eskisehir/Turkey where is the motherland of the meerschaum. Our products are made by Turkey's selected artisans, whose works are exhibited at various galleries in Europe and USA. We deliver our products to 180 countries . UPS and airmail delivery bring our products to you by safely and quickly. have a problem we are ready to serve you. We are happy to present this precise meerschaum stone which is found only in Eskisehir to Turkey, to all over the world.